Ken Jenkins, Chairman of the Westchester Board of Legislators, is a public servant who's dedicated to using the best tools at his disposal to serve the his constituents - the citizens of Westchester County, NY. So with the advent of the iPad and the increasing use of mobile devices to view websites, Ken insisted on being on the cutting edge of technology. With that in mind, ICR Media took on a reworking of his existing site to conform to Adaptive Design standards. 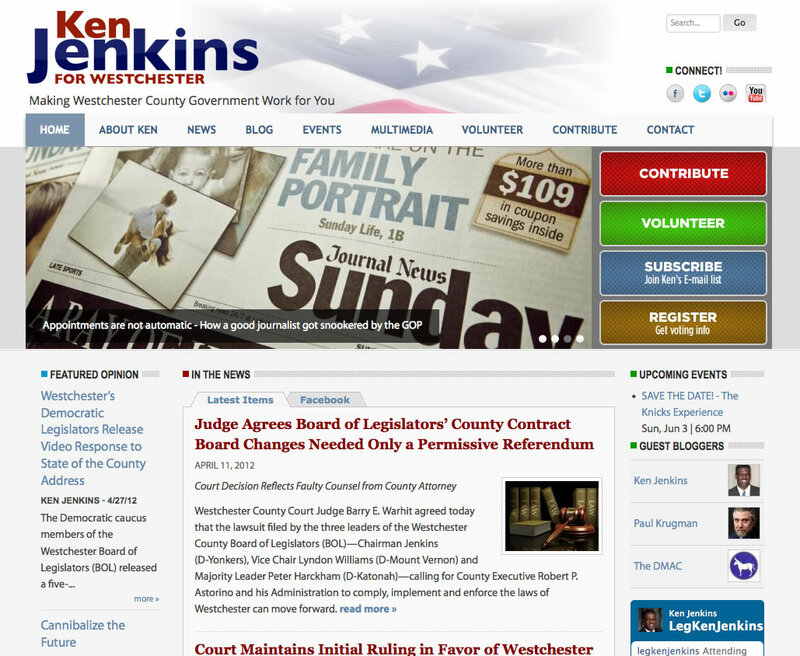 The new jenkinsforwestchester.com site features simple, elegant design and performs brilliantly on all devices, from desktop, to iPhone, to iPad and everything in between. Using the emerging Drupal 7 platform, the new site is faster, easier to use and offers and enhanced user experience no matter how it is viewed. As far as we know, Chairman Jenkins is the first county-level legislator to use this technology - we say "thanks" and, of course, "Go Ken!"